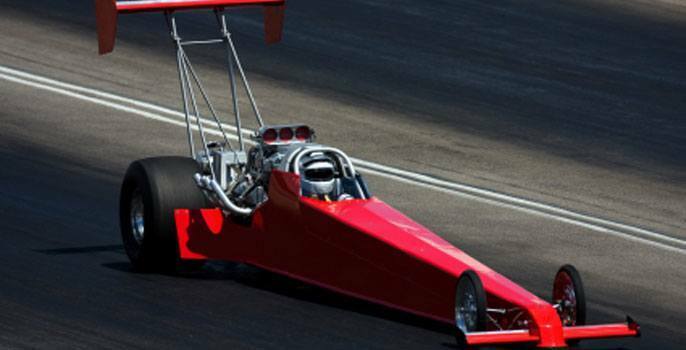 Directory of Dragstrips, Dragways, and Drag Race Tracks Located in Maine. Oxford Dragway ia a 1/8 mile International Hot Rod Association (IHRA) sanctioned drag racing facility serving all of Maine and Northern New England. New England Sand Drags is sanctioned by NEORVCA: North East Off Road Vehicle Competition Association. NEORVCA has been putting on Sand Drag races at the Ossipee Valley Fairgrounds in South Hiram, Maine since 1983. NESD runs double elimination bracket races on a 300' straight dirt track. Classes are available for Pee-Wees, Juniors, Trail ATV's, Top Eliminator ATV's, Street 4x4's and Top Eliminator cars/trucks. The track has just over 700' of shut down area and mufflers are required for all competitors. NEORVCA runs NHRA™ style bracket races in double elimination format at most events. New England Sand Drags runs one and two day events, with the main event always run on Sunday. Points in the annual points chase are issued based on Sunday attendance and results. Race season runs from May through to the first week of October. Winterport Dragway is an unsanctioned independent 1/8 mile drag strip located in Winterport, Maine. To have your Dragstrip listed or to update our information please Contact Us.